Brighten your home decor with new, budget-friendly spring wall art! 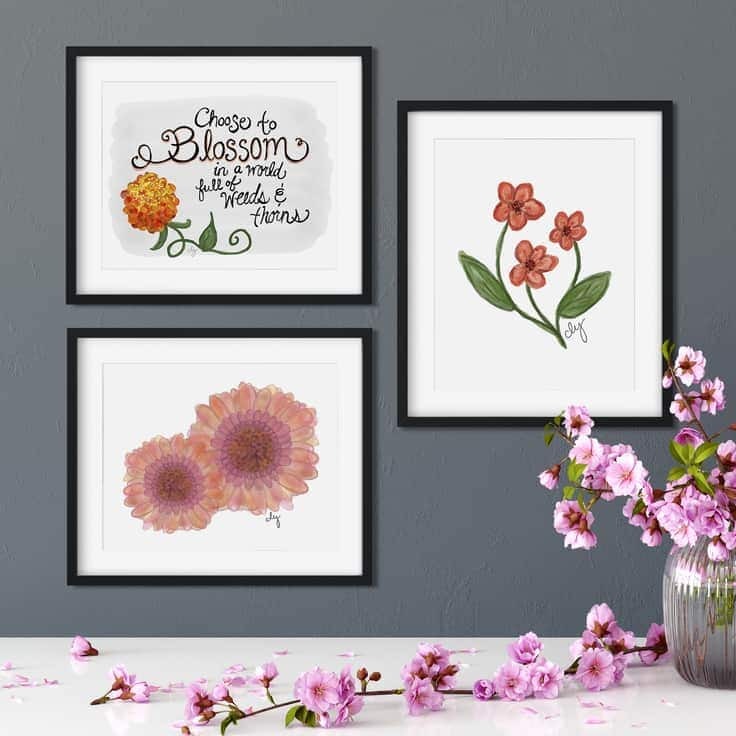 Our new flower art collection on Etsy features 25 inspiring and original floral printables available now for instant download. 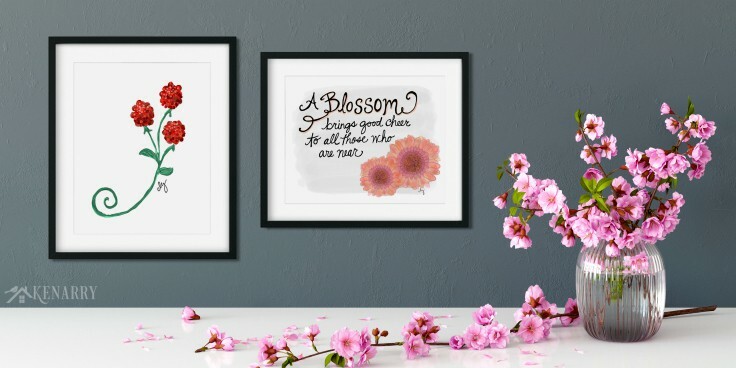 Our new floral art collection on Etsy consists of 8″ x 10″ prints that come in a variety of cheerful colors and include motivational sayings that make great Mother’s Day, bridal shower and graduation gifts. This digital art would also look super cute as decor in a girl’s bedroom or a baby nursery. 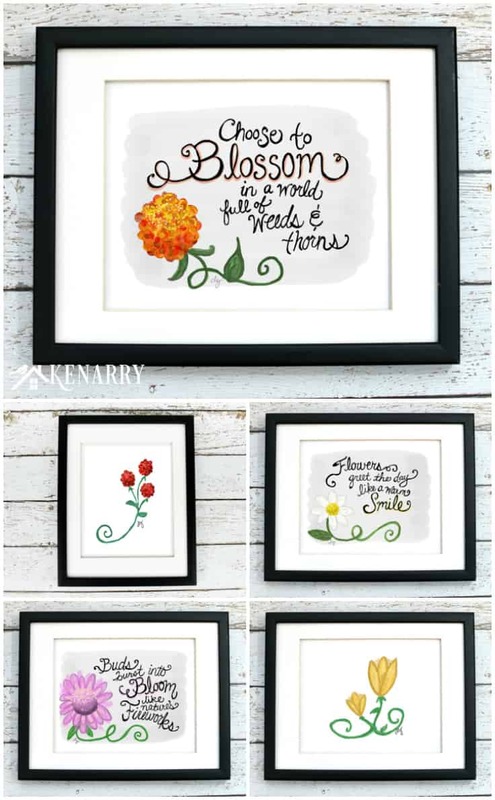 Our new collection of flower art is perfect if you want to inexpensively update your home decor to match the seasons. Instant download prints are an easy way to get new art to decorate the walls of your home on demand. Use an empty 8 x 10″ photo frame you already have then just change your wall art as often as your heart desires! This printable flower wall art would look great in a kitchen, dining room, living room, home office, girl’s bedroom or a baby nursery. 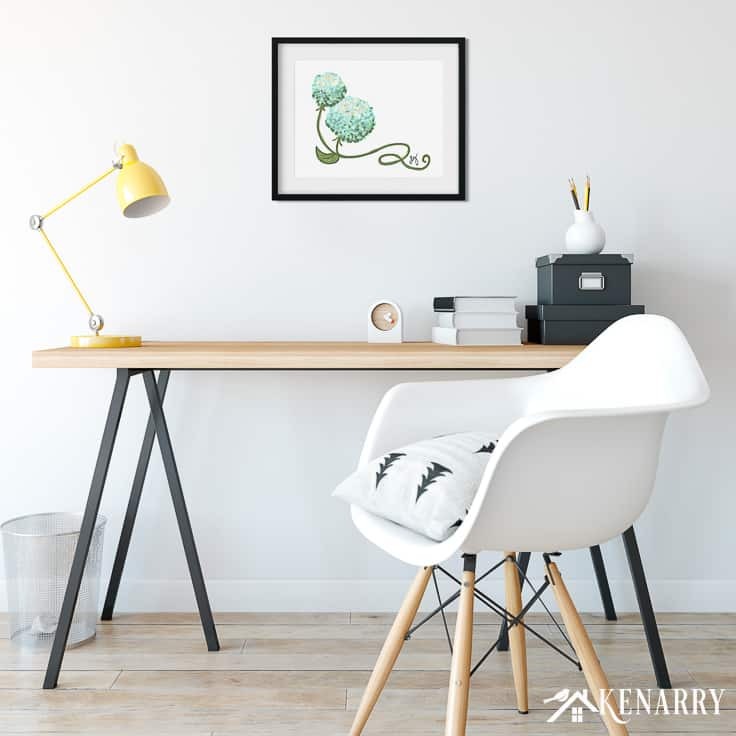 Hang it individually or pair it with other art from Ideas for the Home by Kenarry™ to create a unique gallery to decorate a wall or bookshelf for spring or summer. 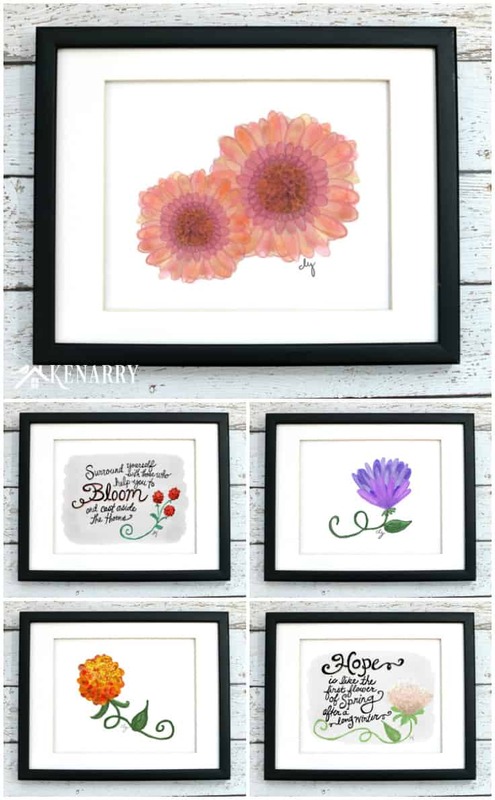 A year ago, we opened the Ideas for the Home by Kenarry™ Etsy Shop. It was and still is a big dream of mine to sell my art online as digital printables. Our very first collection of digital art featured hot beverages like tea, hot cocoa, espresso, chai and of course, the best perk of the morning — COFFEE! We also created printable note card sets using those same designs. In addition, we came out with a Fall Art Collection, a Christmas Printables Collection and even a small collection of Easter Art! Now today, I’m beyond overjoyed to share with you my favorite collection yet – our new Flower Art Collection for spring. To celebrate this new digital art collection on Etsy, we’ve got a couple of FREE gifts for you today too. 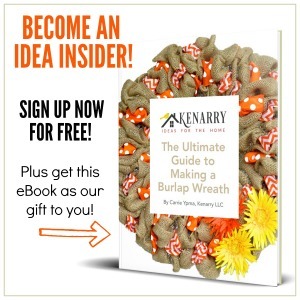 Kenarry Idea Insiders get 25% off their total purchase from any of our digital art collections on Etsy. 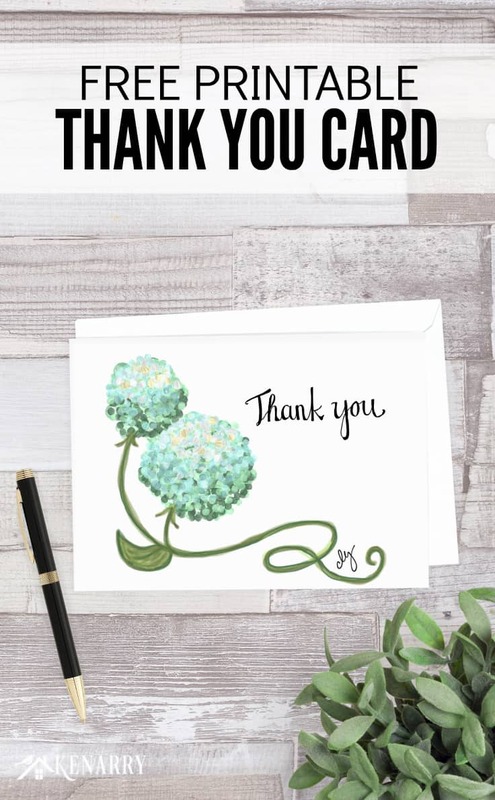 Plus we made one of the designs from our new collection into a free printable thank you card exclusively for Kenarry Idea Insiders. Just look for the sign up form later in this blog post so we can send you the discount code plus the FREE digital download. 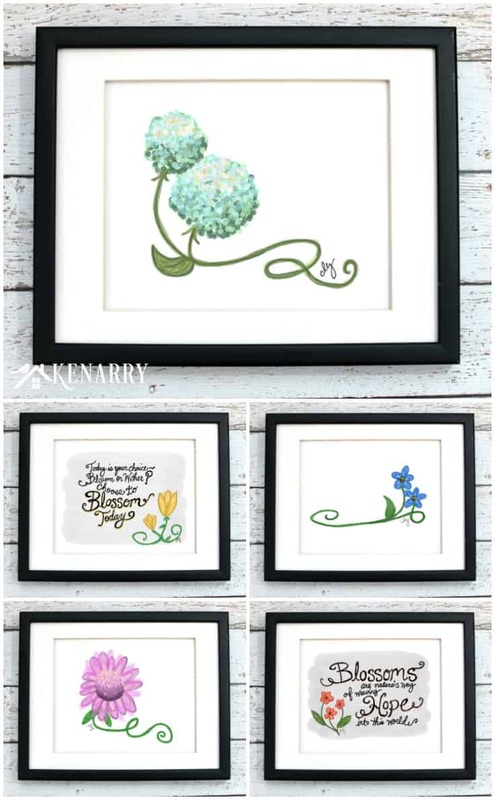 Each of the twenty-five beautiful 8 x 10” prints in our new Flower Art Collection is hand drawn digitally. 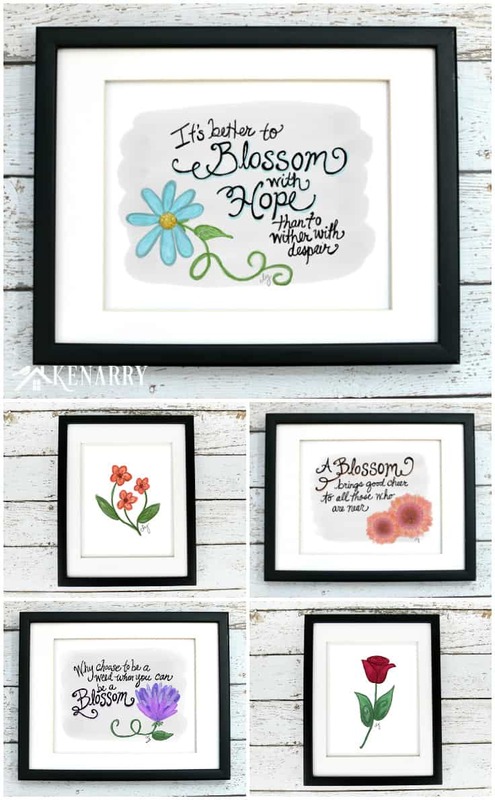 They each showcase a whimsical floral design or phrases that I created and hand lettered to celebrate, inspire and encourage hope. You could also frame any of these instant downloads as a holiday, hostess, teacher, Mother’s Day, graduation or birthday gift. 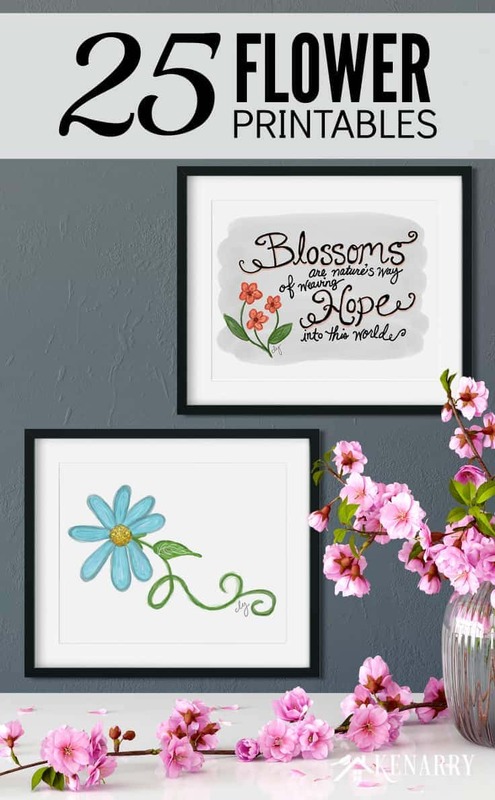 Likewise, this flower art would be an uplifting present to give a friend who’s suffering from an illness like breast cancer, who needs sympathy after the death of a loved one or who could just use some extra encouragement and love right now. What’s Included With Your Flower Art? 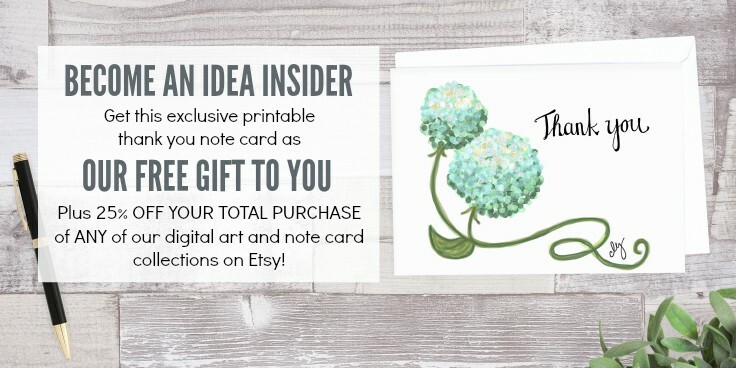 Once you buy a floral printable on Etsy, you will have immediate access to print it now. There’s no need to wait for your new art to be shipped to you. We recommend printing on card stock using your home computer and printer. For best results, you can also take it to a local print shop or online printer. 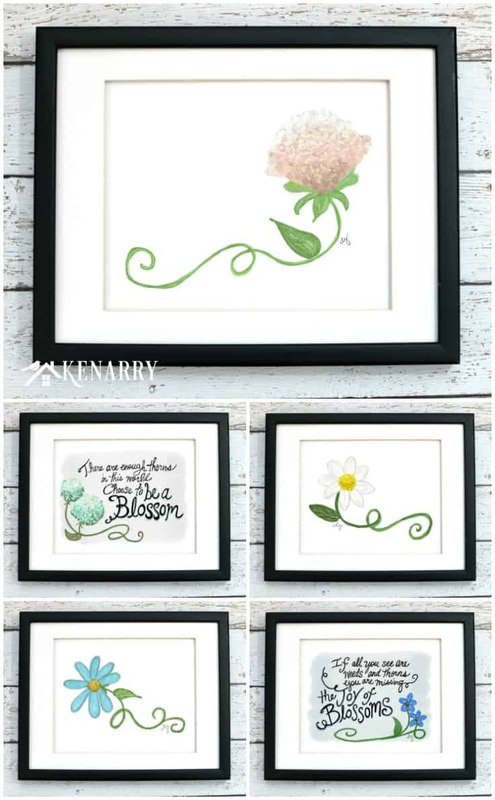 These floral printables are beautiful individually. However, they would also look pretty hung together as a set to make a festive little gallery wall! These DIY Dowel Frames are the perfect way to hang them once you print them out. To celebrate the launch of our new Flower Art Collection, one of the floral designs has been turned into a printable thank you card. It’s available as a FREE gift when you sign-up below! Once you get the PDF file for this free printable thank you card from the Idea Insider Resource Library, download it to your computer. Then just print the thank you card on white card stock as many times as you’d like! The thank you note card and all other printables from Kenarry are for your PERSONAL USE ONLY.